Balance sheet liabilities are obligations the company has to other parties and are classified as current liabilities (settled in less than 12 months) and non-current liabilities (settled in more than 12 months). Accounts payableAccounts PayableAccounts payable is a liability incurred when an organization receives goods or services from its suppliers on credit. Accounts payables are expected to be to be paid off within a year’s time, or within one operating cycle (whichever is longer). AP is considered one of the most liquid forms of current liabilities is the most common of all non-current balance sheet liabilities. This account represents payments that are owed to suppliers, contractors, and other parties that the company has purchased goods or services from. The purchase of inventory with credit terms is the most common example of generating accounts payable balances. Accrued expenses are those expenses that the company has “accounted for” by recognizing them as an expense, but has not yet been invoiced for them. Once the expenses are invoiced, they move up into accounts payable. Unearned revenue is a balance sheet liability that represents cash received for revenue that has not yet been earned. Since the company has not yet completed delivering the good or service, it has not recognized it as revenue yet. In the case where a client prepays for the good/service, the company has to record it as a liability called unearned revenue or deferred revenue. When a company issues stock, there is no obligation to pay out money on a fixed schedule. All payments (dividendsRetained EarningsThe Retained Earnings formula represents all accumulated net income netted by all dividends paid to shareholders. Retained Earnings are part of equity on the balance sheet and represent the portion of the business’s profits that are not distributed as dividends to shareholders but instead are reserved for reinvestment) are discretionary. A bank loan is an example of debt. There is a contractual obligation to repay the loan (interest). Preferred shares are instruments with both debt and equity features. With preferred shares, dividends are not discretionary and are paid on a fixed schedule. Accounting treatment dictates if preferred shares are placed in debt or equity on the balance sheet. Under IFRSIFRS StandardsIFRS standards are International Financial Reporting Standards (IFRS) that consist of a set of accounting rules that determine how transactions and other accounting events are required to be reported in financial statements. They are designed to maintain credibility and transparency in the financial world, redeemable securities are noted as debt while under US GAAP, they are noted as equity. The use of IFRS and US GAAP may affect a company’s financial presentation. If a company heavily uses redeemable securities, its treatment as either debt or equity will impact many ratios and performance metrics. Convertible debt allows investors to convert their debt holdings into equity holdings. The effective interest rate is the percentage of an original cash loan that an issuer will charge for giving a corporation a loan. Thinking in the opposite direction, the effective interest rate is the discount rate that discounts all future flows to a zero-net present value. A company borrows €100,000 on January 1 from a bank. The bank agrees that the interest can be rolled up into the loan and repaid on December 31 four years later along with the capital. The total repayment on that day will be €120,000. How does the company reflect this arrangement in its financial statements over the 4-year term of the loan? The company would reflect an increase in cash of €100,000 and an increase in liabilities of €100,000. The company is incurring interest at 4.7%, but only paying it at the end of the loan. 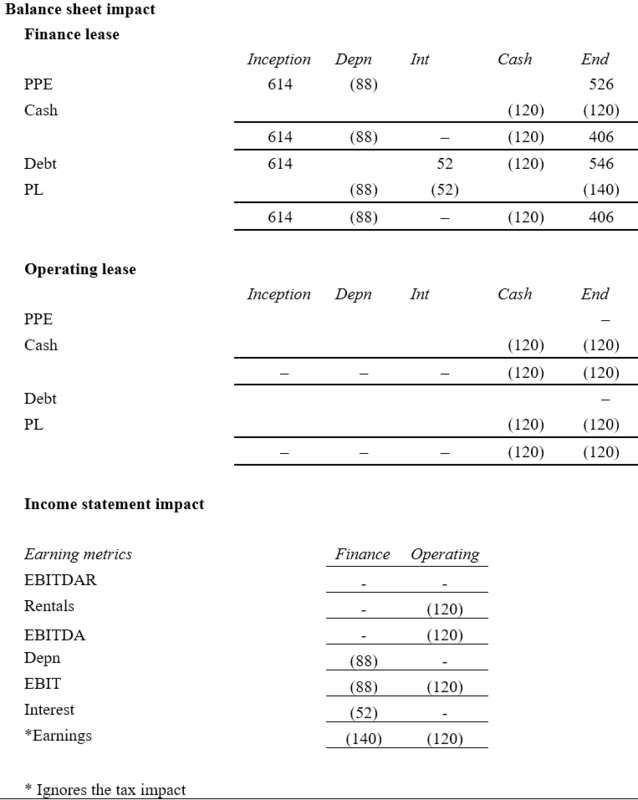 The annual accounting entries for the 4-year period will come from the following table. The balance sheet liability grows from €100,000 to €120,000 over the 4-year period, with corresponding entries as interest expense each year. Net debtNet DebtNet debt = total debt - cash. It is a financial liquidity metric that measures a company’s ability to pay its debts if they were due today. In other words, net debt compares a company’s total debt with its cash position. It is used in valuation to calculate the enterprise value of a firm is comprised of debt less the sum of all cash and cash equivalents. When a company lacks sufficient funds to buy an asset (or prefers to use less cash than it has to), it may be able to lease the asset. Leases fall into either operating leases (held off the balance sheet) or finance/capital leases (held on the balance sheet). 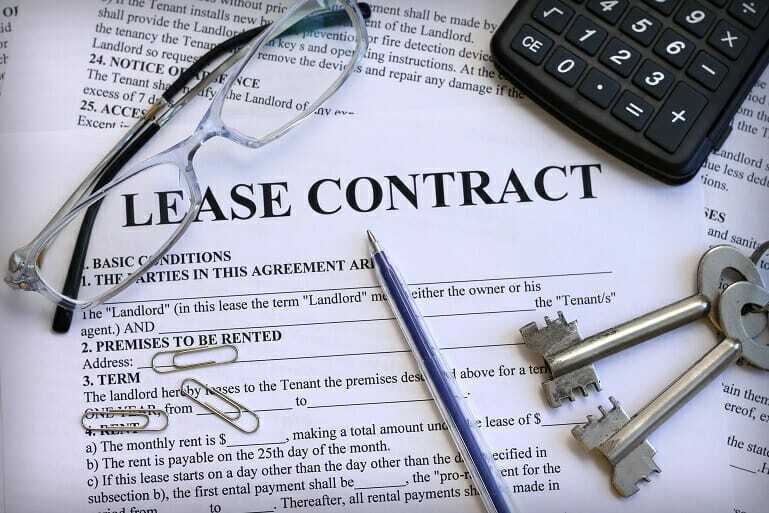 The lease term is for the major part of the economic life of the asset even if the title is not transferred. The leased assets are of a specialized nature such that only the lessee can use them without major modifications being made. The line between an operating lease and finance lease is a matter of judgment. Operating leases are expensed on the income statement on a straight-line basis over the lease term and are entered as operating cash flows in the cash flow statement. Companies must disclose operating lease expenses and future expenses in their financial statements. This is useful for bankers in capitalizing operating leases. Accounting for an asset under a finance lease is similar to when the company borrows money to buy the use of the asset. A depreciating asset and an amortizing liability are recognized on the balance sheet. When leasing an asset, it is recognized on the balance sheet at the present value of the future lease payments, usually measured at the company’s incremental borrowing cost. The asset depreciates straight line over the term of the lease. The liability increases over time as interest accumulates but decreases with the lease payments, not only paying off the notional interest but also paying off some of the capital. This continues for the duration of the lease until the outstanding obligation has reduced to nil. Lease payments are not expenses on the income statement. Instead, operating profit is reduced because of the depreciation expense and profit before tax is reduced further because of the interest expense. Lease payments are treated as a part repayment of interest and part repayment of capital. Company comparison is affected by differing accounting treatments of operating lease agreements. The two approaches used to reduce the differences in treatment are the discounted cash flow approach and multiples approach. New accounting rules published by IFRS dictate that operating lease conversion treatments will be eliminated by January 2019 and will instead be treated as financing leases. Therefore, these conversions will not be covered in this article. More information about IFRS 16 can be found here. In either case, there is an issue of uncertainty. Here, we focus on provisions for liabilities. When a provision is recognized, a liability and expense are created. When the payment is made, there is a decrease in cash and a corresponding decrease in liabilities. If the provision does not exactly match the cash outflow, then there will be a gain or loss recognized in the income statement representing the difference between the two. Under IFRS, provisions are measured by discounting future cash flows. Under US GAAP, provisions are not discounted. Decommissioning provisions are an environmental provision with special accounting rules. The provisions recognize the cost of taking heavy infrastructure assets such as power stations and oil platforms out of service at the end of their lives. Due to lengthy timeframes, the time value of money of these provisions is often material and is required to settle the obligation. When discounting is used, the carrying amount of the provision increases in each period to reflect the passage of time, representing a borrowing cost. Operating LeaseOperating LeaseAn operating lease is an agreement to use and operate an asset without ownership. Common assets that are leased include real estate, automobiles, or equipment. By renting and not owning, operating leases enable companies to keep from recording an asset on their balance sheets by treating them as operating expenses.